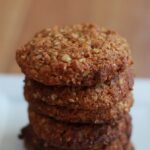 These healthy Anzac biscuits are one of the first ever recipes that I shared on Becomingness. I made these with spelt flour and oats and are great for my daughter Giselle, as she has a nut allergy. 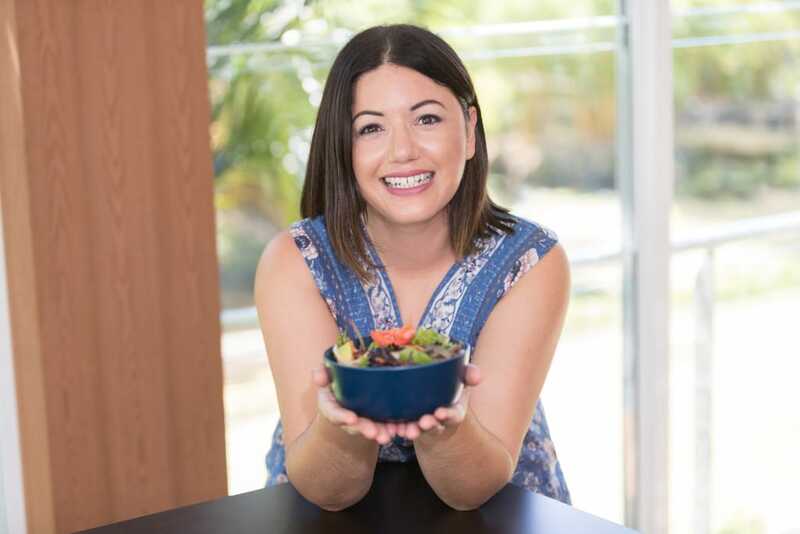 I also have Anzac Slice and Gluten Free Anzac Biscuits,if you are wanting to check out my gluten free Anzac recipes. Melt the butter and organic honey in a saucepan over a low heat. Mix together the flour, oats, desiccated coconut and coconut sugar in a bowl. Stir the water and the bicarbonate of soda into the butter and honey mixture and then add it to the dry mixture, stir thoroughly. Once combined, spoon mixture into balls. Place them on the baking trays, spaced well apart.